Our garden expert from Rochester, IL, James Weistart, a Minonk native, sends us photos of his garden in full bloom. 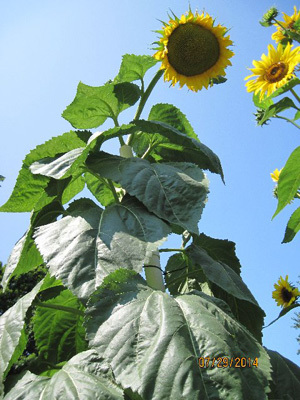 Jim's sunflowers usually get over 10 feet tall. 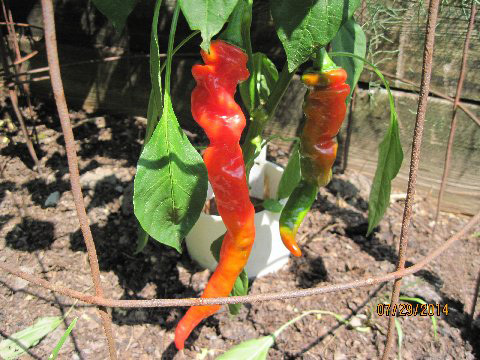 Jim said these peppers are Maule's Red Hot cayenne. 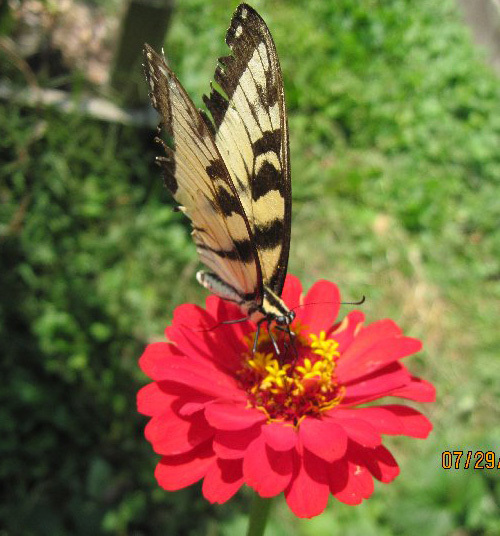 A butterfly getting some nectar from a zinnia flower.